7 things I see about theatre and Canada, and about theatre in Canada. 1. Canada seems to be deeply divided ideologically today. This might be an imaginary perspective nourished by the mainstream media to keep us interested in stories about politics in our country. My experience travelling around Canada is that people share a lot of common ground but rarely have enough contact with one another to express that common ground. 2. Theatre is underfunded, under attended, and under practiced in Canada – which is weird because if there is one medium that can re-align imaginary narratives, it is the theatre. I want to accelerate misaligned narratives through the work I do making documentary plays. 3. Collective impact is a big buzzword in Canada right now. We need to do things together but we are so segregated into professional, ideological and cultural silos. We need to build a common narrative in Canada, a national story. This common narrative should not be confused with patriotism. It should be conceived as a story about diverse people learning how to talk with each other again to tackle common challenges; building new language that doesn’t immediately try to force consensus but that allows for dissidence, dissonance, awkwardness, uncertainty, failure to connect as a process through which we have to pass to find connection again. It is a story that takes the conversation away from the experts and gives it back to the citizen – the true power behind Canada’s democracy. Democracy, as managed by political experts, is a farce right now in Canada if we judge it by the conversation that is taking place in the House of Commons. 4. Theatre of the citizen is not simply political theatre. It is deeply personal. Because none of us lives alone. We make political decisions every day in the way we speak to people, the way we spend our money, the way we raise our kids, the way we care for our parents. Politics is not reading the newspaper and being up on political affairs or deciding to become an MP, or starting an NGO, or declaring that you are apolitical. It is a conversation we have with one another in order to share the planet as gracefully as possible. The lack of grace today in political dialogue is a symptom of this abuse of the true definition of politics. The theatre is a medium that can and should attempt to inject some grace back into political dialogue. 5. I am not trying to make a point (right now) or when I write a play. I am trying to start a conversation. The conversation is about: why are we behaving this way in Canada today? Character is what character does. What Canada does today is Canada’s character. We have to put that character on stage so people can see it. Because it’s quite a crazy picture. It’s also very funny and entertaining and can sell a lot of theatre tickets and maybe even some merchandise. 6. Theatre artists are amongst the most brilliant people in Canada but they are generally destitute and marginalized. Why is this? We should be leading our country, not just observing it. 7. Theatre is serving a cultural elite and is not generally considered relevant to people working in other professions. Why are we theatre artists talking just to ourselves? What’s the point? How can we integrate theatre back into the fabric of day-to-day life for people? Are we afraid to reach outside our black boxes to participate in other arenas? Are we prepared to use our skills to serve society in a different way? Annabel Soutar is a playwright and theatre producer. In 2000 she founded the theatre company Porte Parole Productions in Montreal with Alex Ivanovici and she has acted as Artistic Director of the Company ever since. Annabel studied Theatre at Princeton University. Her most recent play Seeds was published in both English and French and presented across Canada in 2013-14. 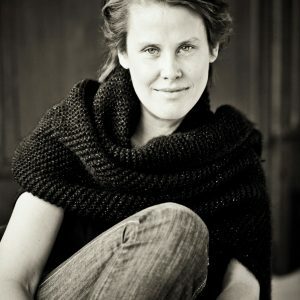 In 2012 Annabel was commissioned with director Chris Abraham to write a new documentary play - The Watershed - about fresh water for the 2015 Toronto Pan American/Para Pan American Games cultural program.